Develop strong skills and knowledge in all areas of business. Undertake a paid placement. Start a rewarding career in management. BA (Hons) Business and Management is our most popular undergraduate business degree, and will give you a broad foundation in management, marketing, finance, operations and marketing in a digital world. When you graduate from this course you will have excellent skills and knowledge in all areas of business and management. The focus throughout this course is on innovative teaching and learning by doing and reflecting. One technique is problem-based learning, where you’ll work within a small team to explore issues or decide how to manage a situation. This helps you to dissect, challenge and debate issues. Other learning techniques include company visits, guest speakers and cutting-edge e-learning technologies. These are in addition to a combination of lectures, seminars, debates, tutorials and workshops. Your progress will be assessed by coursework, assessed case studies and business simulations, presentations, reports, essays, tests and time-constrained assessments. Please note: After Year 1, if you decide that you would prefer your studies to be more specialised, it’s possible to transfer to other business-related courses such as Business and Financial Management or Business and Marketing Management. You’ll be based at The Reg Vardy Centre, at The Sir Tom Cowie Campus at St Peter’s. This is home to the Sunderland Business School and the St Peter’s Library with thousands of books related to business, economics, management, human resources, marketing and strategy. When you graduate from this course you will have excellent skills and knowledge in all areas of business and management. You'll understand how businesses create success, how to manage business operations, how to make informed decisions, and how to lead change in organisations. You will be ready to step into a leadership or management role in a wide variety of industries across the world. 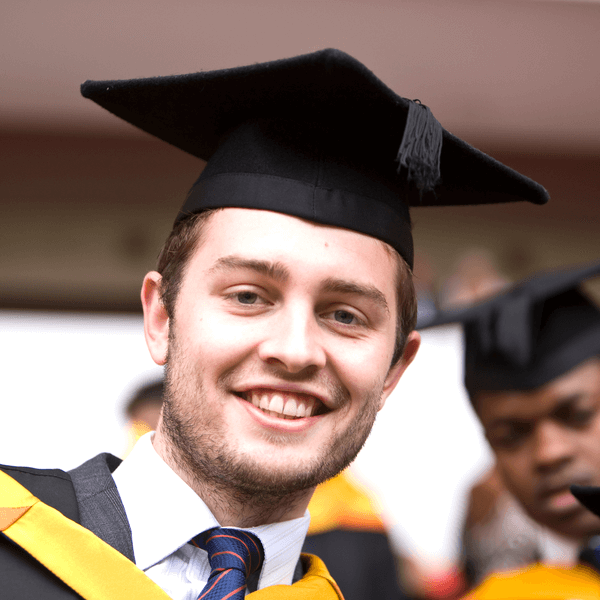 Some of the companies which employ our Business graduates include: Facebook, Sage, HSBC, IBM, Enterprise, Nissan, Accenture, Procter & Gamble, Nissan, Marriott Hotels, Viacom 18, PricewaterCoopers and Adidas. We encourage you to undertake a 48-week paid placement to further enhance your employability between your second and final year. It effectively becomes a third year of a four-year course, and you’ll earn an average salary of £14,000-£18,000 a year depending on your location. Recent placement employers include IBM, Procter & Gamble, BT, Nissan, Marriott Hotels, PricewaterCoopers and Adidas. A top-up entry option is available to those who have already successfully completed a Higher National Diploma (HND) or Foundation Degree and wish to progress onto the final year of the honours degree course. Topping up your existing HND or Foundation Degree will take one year of full-time study and may open up future career options to you depending on your chosen career path. The University helped develop my knowledge and skills thanks to its amazing tutors. An industrial placement is a valuable learning curve, it gives you a head start in the job market. The course gave me the chance to learn and develop in all areas of business. Since leaving University I’ve worked for Channel 4, Turner Broadcasting and Sky Sports. Sunderland is a beautiful part of the world with sandy beaches and a great, modern University. I strongly recommend studying at the University of Sunderland.